Balázs Fazekaš was born in 1999 in Lučenec (Slovakia) and has been playing the piano since the age of seven. He was first taught by Hilda Jurečeková and later by Angelika Bodorová at the music school in Fiľakovo. During these early years, he successfully participated in several piano competitions. In 2013, he attended a preparatory class at the Conservatiore of Košice. He has also attended a number of master classes with Prof. Alena Vlasáková and Ivo Kahánek. 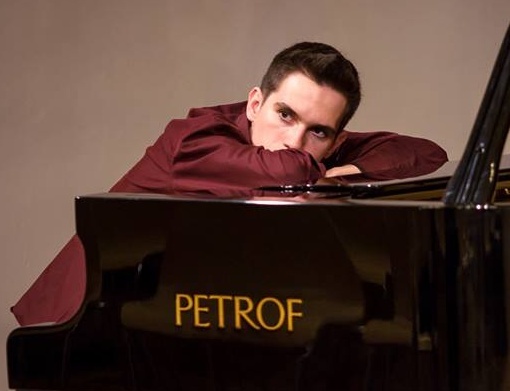 Outside of his formal studies, his achievements include: 1st place in the ‘Young Artists of the Stage’ (Slovakia, 2012), 2nd place at the Festival of Ivan Ballu (national competition, Dolny Kubin, Slovakia, 2013), winner of the ‘7th Meetings of Young Pianists of Nógrád’ (Salgótarján, Hungary, 2014), 2nd place in the 1st category ‘Competition of the Slovak Conservatories’ (Košice, Slovakia, 2015), 3rd place in the 4th category at the International Piano Competition Peter Toperczer, prize of the Mayor of Košice and the prize of the Petrof company (Košice, 2015). In addition to his solo performances, he is also actively involved in chamber music. Balázs is currently studying at the Conservatiore of Košice,under Prof. Judita Debreová. If you are interested in working with Balázs, please get in touch with the EMCY Office.